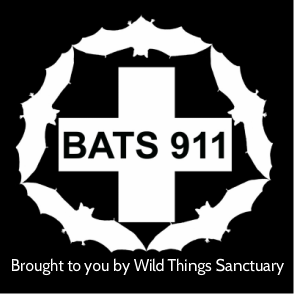 The Austin Bat Refuge has been tracking Texas bats using radar. Their research has revealed amazing radar videos of bats devouring incoming tides of crop decimating insects, stopping the tide from sweeping across the U.S.
​If affordable pesticide-free food sounds good to you, then thank the bats. That's what scientists discovered when they set out to investigate how bat activity affects crops. Bats are the main predator of nocturnal insects, including crop pests, and with bat populations falling due to disease and development, researcher Justin Boyles and colleagues wondered what declining bat numbers mean to humans on an economic level. They focused on how much money bats save farmers in pest control and found on average, that if bats were to send out invoices, farmers would be getting billed at about $74 an acre. In total, bats save the agriculture industry between $3.7 billion and $53 billion a year, roughly averaging $22.9 billion per year, depending on the number of acres being farmed in areas with bat activity. $22.9 billion is a lot of money, but it doesn't take into account additional expenses associated with higher pesticide use. These include costs associated with insects evolving resistance to pesticides, and the possibility that increased use of pesticides can cause declines in both environmental and human health. The study also did not examine the impact of bats on the control of forest insects. Many insects, such as the pine processionary moth that eats pines, are expanding their range due to a warming climate. This means that bats are likely to help the economics associated with forestry as well. How does this concern you? These little warriors can eat their body weight in insects nightly, and devour enough to help keep pesticides off our food, and fresh produce more affordable. So, at the very least, they deserve a thank you. But in the last decade, bat numbers have been plummeting due to disease and land development, and it's time to put any prejudices aside, recognize the important roles they fill, and help advocate for their well-being. White-nose syndrome is an introduced fungus from Europe that has killed more than 6 million cave-dwelling bats since it was first discovered in the U.S. in 2006. Certain species have suffered more than others. The Little brown bat was once the most numerous predatory mammal in the Northeast; now it is all but gone in less than 10 years. Meanwhile, cave-hibernating bats' migratory tree-bat cousins are being killed across the continent by wind turbines. One study estimates that by 2020, as many as 100,000 or more bats will be killed every year by turbines in the Mid-Atlantic Highlands alone. These threats mean that bat numbers are falling every day, and insect numbers are rising. And sadly, bats are also threatened by human misunderstanding. Many people think all bats have rabies and they are weird, and dirty, and kind of like insects. In fact, less than half a percent have rabies and they will die of it, they don't carry it. You are more likely to encounter rabies in an outdoor cat. Bats clean themselves constantly and are more related to humans than rodents. Like other mammals, they even nurse their young, while holding them close under their wings. With such large declines, and so many threats, we need to do whatever we can to help, even if it's just educating ourselves not to kill a bat if it happens to be roosting around our homes. Let's put aside our prejudices and see these little mammals for what they are: incredible insect-munching machines that help us in so many ways. They keep our food healthy and with disease from mosquitoes on the rise, I'm happy to have a colony living near my house. Reference: Boyles, J.G., et al. (2011). Economic Importance of Bats in Agriculture. Science 332: 41-42. Did you know some estimate fruit bats are responsible for more than 90 percent of the reforestation of the world’s rainforests via seed dispersal? Without these bats we would lose these forests without cutting down one tree. In the photo to the right, a Peter's dwarf epauletted fruit bat approachs ripe figs in the Ivory Coast. Small fruit bats provide invaluable reforestation, accounting for 95% of initial seed dispersal into clearings. Worldwide, bats are primary dispersers of wild figs. Photo by Merlin Tuttle.